The referendum result may have settled the question of Scottish independence. But the cost of winning it was to expose the ramshackle nature of the whole country’s constitutional arrangements. 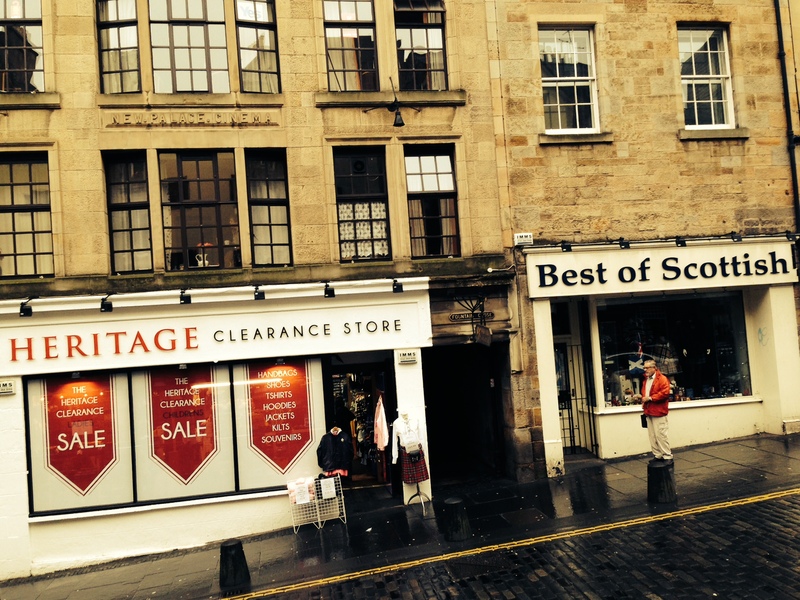 In Scotland, “Heritage” is always at a discount. Edinburgh—On Thursday night this old grimy stone city felt like a carnival. The leafy streets of Morningside kept their counsel behind drawn curtains, but in the working-class “schemes”—as the Scots call their public housing—of Leith and in the tattered, fly-posted area around George Square there were bright blue balloons and painted faces and Yes buttons in blue (Nationalist), red (Radical Independence Campaign), pink (LGBT supporters) and green (Greens). Knots of excited young people caromed through the Grassmarket while high up the hill, under the brow of the Castle, someone had hung a washing line with three white shirts bearing the letters Y, E and S next to a sheet urging “Vote With Clean Pants”—a puzzling message until I realized the reference was to underwear (and the need to maintain intestinal fortitude). Or as one of the swarm of visiting Catalans, here for a taste of the debate the Spanish government has so far refused to allow, might put it: Coratge! By Friday morning, when Alex Salmond’s government had scheduled a post-referendum rally outside the Scottish Parliament, the birth of a nation had become a wake, attended only by an Indian television crew and a few sodden tourists. Edinburgh rejected independence by a wide margin—61 percent to 39 percent—but either the dreich (local weather somewhere between rain and fog) or good manners had kept the No camp indoors. In the end only four of the country’s thirty-rwo councils voted Yes. Overall the vote split 55/45 against independence and in favor of…. what? The final two weeks of the campaign had seen Yes supporters subject to a continuous barrage of threats. There would be a run on the banks, a collapse in house prices (and the pound), employers and jobs would leave the country, while prices on everything from petrol to peanut butter would skyrocket. The former head of the army, Gen. Sir Richard Dannatt, even wrote an article in the Sunday Telegraph saying a Yes vote would be letting down the families of soldiers who died in British uniforms. It was an ugly tactic, but it worked. “Just too risky,” said Tim, a singer-songwriter from Elgin who came up from London to vote. “Can’t take the chance,” said a woman I met under a bus shelter in Cowgate. “My heart said Yes but my head said No, and I voted with my head,” the twentysomething desk clerk of my hotel told me. Former Prime Minister Gordon Brown’s pledge, signed by all three pro-union party leaders, that a No vote would trigger a tight timetable for new legislation granting Scotland expansive new powers over taxes and welfare spending—the same “devo-max” option an overconfident David Cameron had ruled off the ballot—also probably helped. Yet it is Cameron who benefits the most from Friday’s result. He has to keep his promise, of course. But his remark on Friday that it was also only fair that in future “English legislators should vote on English laws” put the so-called “West Lothian question”—a poison pill for the Labour party—firmly on the agenda. At the moment MPs from Scottish and Welsh constituencies vote on all laws passed at Westminster, even when—as in the case of charging tuition fees at English universities—their own constituents aren’t affected. One way to change this would be for England to have its own devolved legislature, like the Scottish Parliament or the Welsh Assembly. There are plenty of Tories who favor such an approach—which also happens to be the policy of the far-right UK Independence Party—though some object to the cost of an extra layer of government. Ed Miliband, knowing that Labour would likely be a permanent minority in such a body, has never been enthusiastic. But the alternative, which is for non-English MPs to abstain from votes on English matters, is even messier. Under such an arrangement if Labour win the next election it might still lose its majority every time Scots and Welsh MPs have to abstain. And since England has 84 percent of the UK’s population, and an even greater share of the economy—and the bureaucracy—such abstentions could be frequent enough to paralyse any Labour administration. Miliband’s call on Friday for a “Constitutional Convention” after the next election to consider changes outside Scotland was an attempt to decouple the promise made to Scots from the far more contentious question of how to rebalance British democracy. But it was also an attempt to stall for time. The referendum result may have settled the question of Scottish independence—at least, as an optimistic writer I know put it, for a wee while. The cost of winning it, however, was to release forces that, though they may not mean the end of the United Kingdom, have exposed the ramshackle nature of the whole country’s constitutional arrangements. Which comes as some consolation to Yes campaigners otherwise too stunned by sorrow to think about the road ahead. “We’ve forced constitutional change for the whole of the UK,” Brian, who described himself as a “gutted” Yes voter, told me over breakfast on Friday.